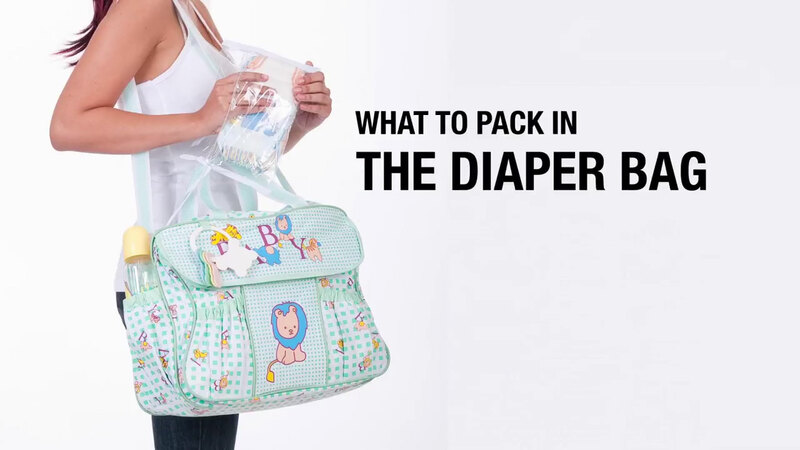 - I think that a diaper bag should be always packed by the door. It's like your extra stuff, but it doesn't have to be your entire nursery every time you go out of the house. So I think diapers, obviously, probably two or three depending how long you're gonna be out of the house. Wipes, a snack, a bottle, a bottle of water in case you're using formula and you need to be able to mix formula, extra formula or a extra bottle of breast milk, and, most importantly, a change of clothes.- If the baby took a pacifier, I would have a clean pacifier in the bag, and, of course, if the child doesn't breastfeed, I have a bottle, and some formula. But the most important thing, which I forget all the time, is a clean outfit.- So if there's one thing I would suggest, it would be to go for the backpack, much easier, hands-free, don't have to worry about stuff swinging around. I carry a few things. I carry some very small toys, something to occupy the kids if we're in a situation where they needed to be quiet, or entertain them, preferably something without batteries. A thin, linen blanket that I can usually double up to keep them warm or if it gets windy, and I always carry a back-up outfit. There's one thing I learned early, if you have a blowout or a situation where you need to do an outfit change, you're prepared.- The most important thing, whether it's a regular bag or a diaper bag, is that it has an inside that you can clean, ideally waterproof, because no matter how careful you are, things are gonna spill in there. The other thing you wanna do, is make sure that it has pockets, but not too many pockets, too many pockets means too many places to lose things, and if you can, get a bag that has a pocket on the outside, and always, always put your keys there. That way, you won't lose them. But if you're like me, what you wanna do is get a small changing pad, some wipes, and a few diapers, and even put them in a Ziploc, and that way you can take it from any bag to any bag and always have what you need.